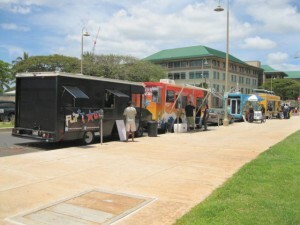 Also on hand today will be Tacoako Tuesday organizer Jesse DeRamos of Flip’t Out Eats, and Camille’s on Wheels. Sending regrets are Fairy Cakes. No word yet from Xtreme Tacos or Shogunai Tacos.